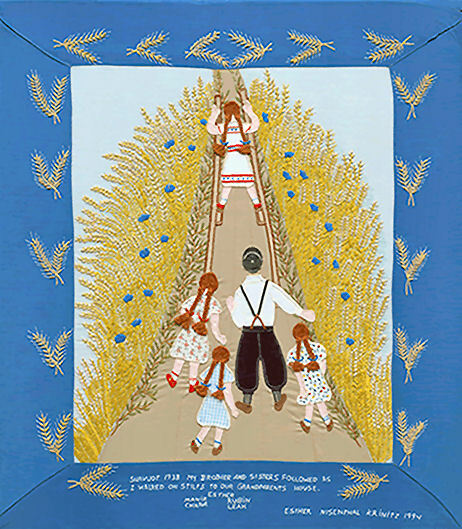 "Shavuot 1938. My brothers and sisters followed as I walked on stilts to our grandparents' house." Embroidery and fabric collage, 1994. Gallery narration by Esther's daughters.